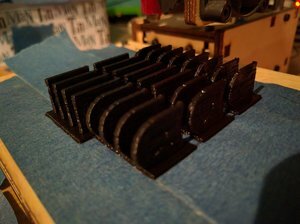 These key covers (inspired by Laser-Cut Steno Keys Kit) help make a N-Key Rollover keyboard in to a real-time stenography machine. See http://www.openstenoproject.org/ for more information. 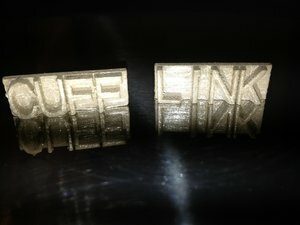 Cufflink (no you notice a theme) that can be customised with the letter of your choice. The bottom mount on the shower broke. No chance of getting a replacement part and no chance of finding another set of mount with the same fixing points, especially when one of the fixing point had to drilled off centre. The solution, make and print a part. Hey presto.